It is amazing as to how rock music continues to thrive after all these years. Rock music has managed to make it through many changes in culture and styles. It has even stayed popular while many other fads in music have come and gone. It is a style of music that focuses heavily on sounds inspired by blues and R&B music over the years. The focus on the guitar and drums and other traditional instruments make it popular. The genre is also known for being versatile. Many people bring in their own cultural and local influences to their music to make it more memorable. There is also a sense of universality in the music. This comes as rock music can be about practically anything someone wants it to be. It can be about love, breaking up or just anything about life in general. It is amazing as to how rock music continues to speak to so many people over all these years. 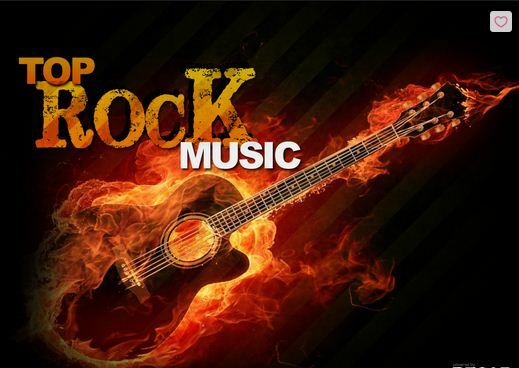 Let us check out the ten best rock songs of all time and how they became so popular. The Rolling Stones recorded this song as an edgy look at life and how tough it is to be happy. The gritty sound of the song was unlike anything else where it was released in the mid-1960s. It continues to be one of the Stones’ most iconic songs. The Eagles recorded Hotel California as an intriguing jab at the music industry. The album continues to be a classic. The title track from the album is especially memorable for a great melody and some intriguing lyrics about a mysterious hotel. Whether that hotel is related to the Eagles’ record label is unclear. The Who has recorded a number of iconic songs over the years but it is this famous song that sparked a revolution. The song is known for its intense guitar from Pete Townshend and anthemic vocals of rebellion from Roger Daltrey. The song remains a favorite among Who fans to this day. There are too many Beatles songs to think about but we can certainly choose this as a great option. Hey Jude features not only romantic lyrics from Paul McCartney but also a soaring series of music hits that keep on growing. The singalong ending is a part that stands out among many other things that the Beatles have recorded. Bob Dylan stunned the world with this six-minute song about loneliness, independence and uncertainty in the world. His song is all about the uncertainty of living and has been analyzed for years in terms of what the lyrics are truly about. The amazing poetic nature of the song is just one of the many things that helped Dylan to receive the Nobel Prize. Rock music has been experimented upon for years and in many cases has become harder and harder. When Steppenwolf recorded this song, they made it as a mix between hard rock and psychedelia. They designed it as a hypnotic song with some amazing imagery about going places. Elton John has recorded many important songs over the years including numerous ballads. This particular one is about a beautiful woman who is innocent and ready to be with her man. John’s great piano and vocals and Bernie Taupin’s heartfelt lyrics are the most important parts of this great song. While this song was originally written by Peter Green and recorded by Fleetwood Mac, Santana made this song their own. It brings a great mix of blues rock with Latin-inspired sounds. This is punctuated by the great percussion section on the song and by Carlos Santana’s great guitar work. This song especially goes well with Gypsy Queen, a song that traditionally appears right afterwards. Rock music has evolved over time to include more punk-oriented sounds while being a little more straightforward. Even with this, the edginess of rock music is still there. This song from the Police is symbolic of the movement towards a more streamlined yet gripping sound in the later part of the 1970s. The lyrics about a woman of questionable repute are especially memorable. Bad Company recorded this title track of theirs as a theme song of sorts. It is one of the earliest examples of hard rock and is especially popular for have an edge unlike many other songs of the time. Paul Rodgers’ vocals are a highlight on this song.